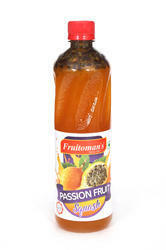 Prominent & Leading Manufacturer from Kochi, we offer passion fruit squash, orange squash and lemon squash. In order to attain highest client satisfaction level, we are involved in providing the best quality gamut of Passion Fruit Squash. The offered squash are made by using fresh ingredients and latest techniques by our skilled professionals. 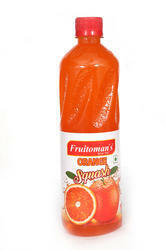 We assure to deliver the provided squash in finest quality and safe packaging to retain its freshness. In addition to this, we also deliver the whole range of this squash at clients’ end within the committed time period. Being a quality oriented organization; we are instrumental in providing the finest quality array of Orange Squash. Provided squash is hygienically processed at our advanced processing unit by the use of quality tested ingredients and superior techniques under the direction of our expert professionals. We also provide customized packaging solutions to our valuable customers. Apart from this, offered squash is available in the market at very pocket-friendly prices. We are occupied in offering our clients a wide range of Lemon Squash. The squash that we provide is processed by utilizing the finest quality ingredients and modern technology in accordance with food industry laid standards and norms. Before the delivery of these squashes in the market, our quality experts carefully test the entire range against varied parameters of quality. We provide these products to our clients at most affordable rates.